Moxie has a new mentor for you. She’s 93, owns a bar shaped like an ostrich, knows all the best fashion designers and loves to haggle with shop owners. 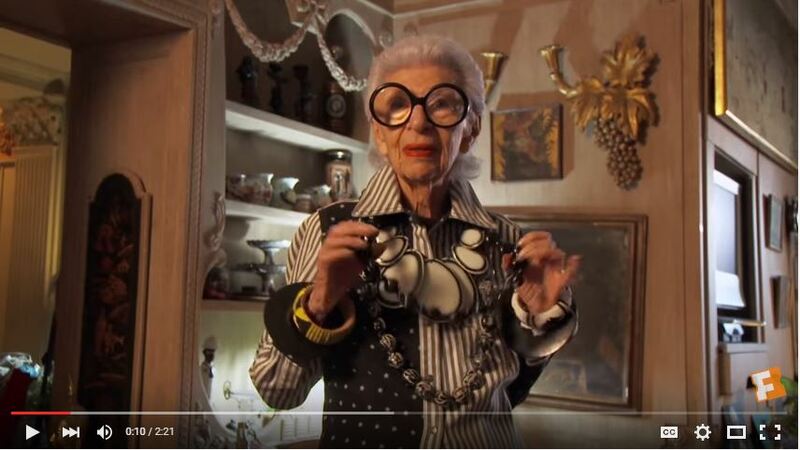 The documentary Iris follows the legendary fashion icon through years of high-profile events, appearances on the home shopping network, lavish shopping trips, hilarious visits with friends and inspiring speeches. It’s a window into her incredible life, soul and wit that will make you look at the world of fashion with fresh eyes. Iris was one of the first young women to wear jeans. No spoilers, but the story involves a turban, a grouchy store owner and breaking every single norm society laid out for her.Watching the documentary is worth it for that story alone! Iris Apfel thrives in the energetic life of fashion depicted in the documentary and takes every opportunity given to her. She lives life to the fullest, bouncing from meeting to event to engagement with a youthful energy usually found in a 21-year-old, not a 93-year-old. When you think fashion icons, your mind might jump to harsh critics like Anna Wintour or Meryl Streep’s character in “The Devil Wears Prada,” but Iris treats others with respect and kindness, with a friend remarking how special it is that she truly never criticizes the appearance of others. She respects people, their personal senses of style and the world they come from. Fashion, she notes, is not just about wearing a cute dress on a carpet. It’s tied to economics, politics, culture – everything is related. Iris Apfel is unapologetically exactly who she is, and exactly who she wants to be. “I don’t buy something to impress someone. I buy it because I like it,” she said. This is a woman who doesn’t get dressed in the morning for anyone except herself. 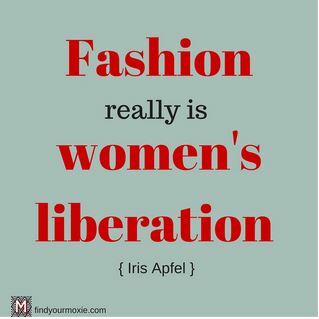 feminism, think, worth the cash, you're fabulous!